Opening hours: Most shops are open Monday to Friday 10.00-18.00, Saturday 10.00-16.00, Sunday 12.00-16.00. Gotland is a place for summer holiday with sun and sea , but also a place for leisurely disruption of everyday life during autumn, winter and spring. A place for excursions , discoveries and adventures. 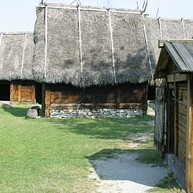 Or energy when you need to relax and renew your strength .The experiences of Gotland are many. Let yourself be inspired by what this beautiful island has to offer. A must-see when visiting Gotland is the Gotlandic picture stones, the treasures and the fossils – magical and unique in their kind. Book a tour of the world heritage site and get the qualified guides of the museum. Ecological restaurant and café. 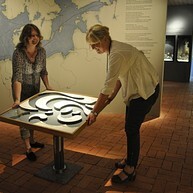 The museum shop is open all year round – bring a piece of Gotland with you! Bottarve, in the far south of Gotland, is a marvellous cultural meeting place with a museum, café, shop, playground and theatre. 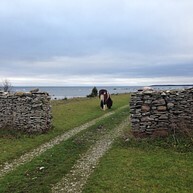 Get really close to the Gotland countryside. Discover the beautiful trails along the ocean, through lush forests and flowering meadows. For those of you who would rather let someone else handle the reins, there are wonderful trips by horse and wagon. Krusmyntagården’s herb garden offers the perfect memory of a Gotland summer’s day. Enjoy the sea views and a moment of relaxation. You can stroll through the herb garden, have a snack/lunch or browse the shop filled with local goods. There is a playground for the children. Being this close to the sea is likely to make you want a walk along the coast, or a bit of a swim. 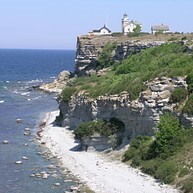 North of Fårö, Gotska Sandön is the remotest island in the Baltic. Miles of sandy beaches and a peace that is rare nowadays, make this a unique spot... A hidden treasure, you could say. You can reach the island by boat from Nynäshamn or Fårösund, from May and September. Cottage or tent accommodation. Most visitors stay several days, but day-trips operate from Nynäshamn. Take the boat to Stora Karlsö with its teeming bird cliffs, dazzling carpet of orchids, and inspiring cultural history. The crossing from Klintehamn takes just half an hour, but the sense of entering another world is unreal. Your knowledgeable guide will take you on a 2.5 hour walk at an easy pace to discover the island’s main sights. The restaurant on Stora Karlsö enjoys fabulous sea views. Treat yourself to a night’s stay at Fyrbyn, the magnificent clifftop lighthouse. 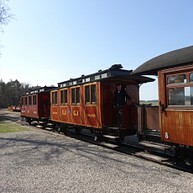 Dalhem, in the centre of Gotland, is home to the Gotland Hesselby Steam Railway, which runs in the summer from Hesselby to Munkebos using old-fashioned steam engines, carriages and wagons built between 1878 and 1945. Hesselby has a museum, carriage sheds and a café, which hires out trolleys. Say hello to Pippi Longstocking! Here in Kneippbyn Resort you will find Villa Villekulla, the original movie house from the classic films of Pippi Longstocking. They have everything you need for an active and comfortable holiday, for both big and small, in the Summer & Water Park. 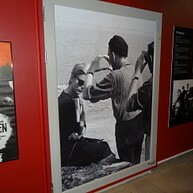 The Bergman Center on Fårö is a cultural center that focuses on the life and artistic achievments of the legendary Swedish director and writer Ingmar Bergman. Fenomenalen is a science centre for children with hands-on areas and special exhibitions that focus on science, technology and mathematics. A permanent exhibition of oil paintings, watercolours and sketch books by Lars Jonsson, housed in the old parsonage at Vamlingbo. Paintings and studies of the bird life and nature of Storsudret. Gallery shop selling lithographs, books, posters and postcards. The parsonage is surrounded by extensive gardens and a beautiful park adjoining the 13th century church. The parsonage café serves coffee, home baking, and light lunches with an italian flavour. 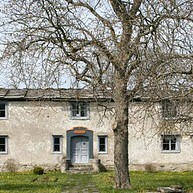 Holiday accommodation: Rooms are available in the north wing, renovated and furnished in 18th century style. Naturum Gotland housed in the south range of the farmyard, is an exhibition on the geology, flora and fauna of Gotland sponsored by the Swedish Environmental Protection Agency and the county administration.